An exclusive and strategic location with proximity to various facilities is the most important aspect of this property. The property is surrounded by greenery of garden. The property has the advantage of having all lavish and modern. 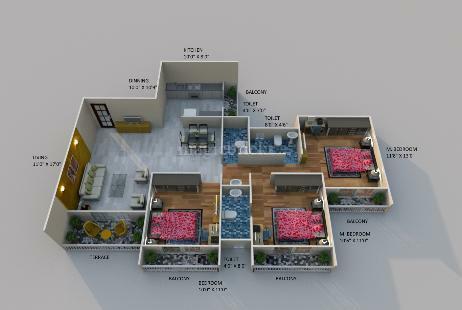 It includes hall, 3 bed rooms, washrooms with wide balconies, and kitchen. This is good locality overall in Navi Mumbai with pleasant weather. It is close to metro Railway Station, Central Park and Golf course.